India and the Eurasian Economic Union (EAEU) are planning to speed up the finalisation of a free trade agreement. The EAEU consists of five countries – Belarus, Kazakhstan, Russia, Armenia and Kyrgyzstan. Once in place, this will certainly be advantageous to India's textile and apparel exporters, who have yet to explore this market to its full potential. 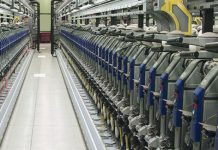 India's textile and apparel exports to Eurasian Economic Union, and to the entire Eurasian region, are negligible at present, as is its overall trade with the region. Almost 95% of India's trade within the Eurasian Economic Union is with Russia. Central Asia is an emerging market today, especially Russia, where consumer spending on branded apparel and luxury lifestyle is unleashing. Currently, it takes around 40 days for goods from India to reach Russia and the Eurasian Economic Union, via Rotterdam port and the Netherlands. It goes without saying that China is obviously a first mover in this region too. So how would India benefit from an FTA with Eurasian Economic Union, where it will have to compete with China? The answer lies in the International North South Transportation Corridor (INSTC), which will connect India with Russia, the rest of Central Asia, and Europe via Iran. India, Iran and Russia are the founding members of the INSTC, with 11 more members from the region having joined in later. The INSTC will ensure movement via the green corridor (smooth customs facilitation). INSTC will substantially reduce time taken and cost for transport of goods between India and Eurasia once fully functional and increase economic activities between India and the resource-rich Eurasian Economic Union, as well as markets of Europe. INSTC is a land-and sea-based 7,200-km long network comprising rail, road and water routes. A study, conducted by the Federation of Freight Forwarders' Associations in India, showed that INSTC will be 30% cheaper and 40% shorter than the existing routes. Last October, Russia's JSC RZD Logistics, Iran Railways, Azerbaijan Railways and logistics company ADY Express organised the first test shipment on the INSTC. The train left Mumbai on September 22 and arrived in Russia's Kaluga Region on October 12. The transit time was 23 days. India and Russia currently use maritime routes for freight transport at the moment, with goods reaching their destination in about 40 days. Containers with industrial radiators were sent by sea from Mumbai to the Iranian port of Bandar Abbas, then transported by rail to Iran's Rasht station and from there delivered by road to Astara (Azerbaijan), reloaded in the railway and finally delivered to the destination in Russia. Earlier, dry runs on two routes of INSTC were conducted in 2014, the first from Mumbai to Baku via Bandar Abbas and the second from Mumbai to Astrakhan via Bandar Abbas, Tehran and Bandar Anzali. Chabahar port in Iran once functional and connected to the Iranian Railway network will also be part of INSTC. Other than geopolitical significance, the geoeconomic importance of the INSTC is based on the fact that, amidst declining trade values, India and Russia have pledged to ramp up trade to US$ 30 billion over the next 10 years. This is no doubt extremely optimistic as bilateral trade between India and the entire Eurasian Economic Union (the EEU, consisting of Russia, Armenia, Belarus, Kazakhstan, and Kyrgyzstan) was merely US$ 8.4 billion in 2015-2016. However, this pledge was buttressed by a strong Indian presence at St. Petersburg International Economic Forum (SPIEF). It has been noted in the past by Gleb Ivashentsov, a former Russian diplomat, that there is a lack of information on Indian markets for Russian enterprises. If the Modi government wants to get the most out of the EEU free-trade agreement it is pushing for, India must demonstrate a strong and continuous engagement with the private sectors of the EEU countries. Here, it is important to note that all countries of the EEU are enthusiastic supporters of the BRI too, as infrastructure and connectivity with the rest of the world is very much needed by the region. At a recent INSTC conference in New Delhi, various stakeholders from the diplomatic, civil society, and business communities came together to finalise the INSTC routes and the development and optimal utilisation of Chabahar port in Iran to complement INSTC. However, intra-INSTC trade is certainly not of significant volumes at present. The imbalance of trade leads to a unique issue where there is a surplus of empty containers accumulating at one end and a shortage of available empty containers for shipping at the other. To this end, India's engagement at SPIEF is the first step to connecting the grouping's markets to generate sufficient trade volumes in both directions. The promotion of EEU products in the domestic Indian market would be another welcome strategy. On the regulatory front of the INSTC there has been some progress. On March 6, India acceded to the TIR Convention, a multilateral framework designed to facilitate container trade across borders with minimum hassles along the way. After India's accession, all INSTC countries, except Oman, are party to the TIR Convention. Another positive sign was the establishment of a "Green Corridor" between India and Russia, which would allow enterprises that are party to the agreement to bypass regular customs process when transporting goods along the route. The INSTC cannot be viewed as a contender to China's mammoth BRI. In fact, the INSTC will complement and supplement the BRI in Central Asia. Both projects will make countries like Iran and Kazakhstan important trading and logistics hubs, which is expected to spur economic development. The economic importance of Central Asia is increasing. This is evident from the long queue of countries wanting to sign free trade agreements with the EAEU. Vietnam is the only ASEAN nation to have an FTA with the EAEU, which came into effect in early 2016. Since then, bilateral trade between Vietnam and Russia, in particular, has increased, with Russia investing US$ 10 billion in Vietnamese projects. Russian exports to Vietnam have also shown a sharp increase since the FTA. Singapore is set to sign a FTA with the EAEU by the end of this year. Singapore's deputy prime minister, Tharman Shanmugaratnam reiterated his country's interest in economic and trade cooperation with Russia, noting that the two states have not been using the existing potential in full. Led by Russia, the EAEU essentially extends from the borders of China to the borders of the European Union. Singapore is a good base for Russian companies to reach out to other markets in Asia. ASEAN also has FTAs with China and India, making it an ideal location for Russian businesses wanting to become regionally involved. Interestingly, Russia opened its Permanent Mission to ASEAN in Jakarta in early August. The EAEU is also in negotiations with China, India, and numerous other countries for FTAs, due to the increased opportunities being developed under the new Silk Road infrastructure ambitions. Russia remains a huge consumer market, and also possesses a great deal of resources and consumables of interest to Asian consumers. The Russian presence in Singapore is already significant with several Russian restaurants in the city. Also Read Will Apparel Manufacturing Shift Away From Asia? Transporting cargo from a Pacific seaport in eastern China to the other side of Eurasia quickly and effectively was once a wild and far-fetched idea. Not anymore, thanks to Meanwhile, Chinese promoted Baku-Tbilisi-Kars (BTK) railway is expected to go online in October. The 826 km (513 mi)-long railway will provide an overland route from the Caspian Sea's western coast, in Azerbaijan's capital Baku, continue through Tbilisi, Georgia, and end in Kars, located at the eastern end of Turkey. There, it will connect with Turkey's broader rail system, where cargo and passengers can continue westward onto Europe. 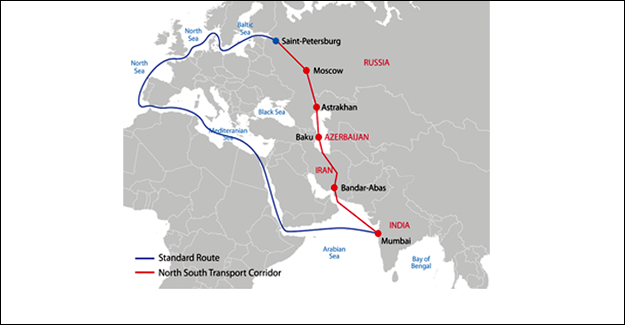 With Central Asia and China to the east, Turkey & Europe to the west, Russia to the north, and Iran and the Middle East to the south, the BTK railway is situated in the middle of an emerging trade corridor that stretches from China to Europe. That corridor, known as the Trans-Caspian International Transport Route (TITR), is a network of rail and sea lines that link western China to Europe, and traverse an area where more than 70% of the world's population is located as well as 75% of energy resources and 70% of global gross domestic product. Delivering goods from the Far East to Europe will now be possible in just 15 days, down from the current travel time of 25-30 days. The BTK contributes to a network that is twice as fast as routes by sea and half the price of air cargo. The new line's initial capacity is about one million persons and 6.5 million tons of freight, with the potential to increasing capacity to three million passengers and over 17 million tons of cargo. Azerbaijan, the largest South Caucasus country situated along the western shore of the Caspian Sea, has invested over US$ 670 million in the railway's construction. Baku expects to become a major transit hub for Eurasia and within the Caspian region.